UMBC’s long-awaited celebration of 50 years of grit and greatness has arrived. Thousands of Retrievers and their families will gather on campus for the September 16–19 weekend to honor UMBC’s journey. The campus will welcome Dawgs of all decades, from the pioneers of the first graduating class to today’s visionaries who are imagining UMBC’s next 50 years. The anniversary weekend spotlights over a hundred features, including special events, family activities, performances, soccer games, reunions, tours, and socials. On Friday night, ahead of Saturday’s headline events, will be “Really, Really Big Breakfast and Bingo,” a sold-out midnight breakfast and prize-filled game night. Saturday’s first large event, the Roots of Greatness Luncheon, will be held 11:30 – 1:30 p.m. in the University Center Ballroom, honoring founding faculty and staff, along with past and present faculty and staff awardees. John Jeffries, emeritus dean of the College of Arts, Humanities, and Social Sciences, will interview George La Noue, emeritus professor of public policy, about his new book, Improbable Excellence: The Saga of UMBC. Throughout the day, 1 – 6 p.m., visitors will experience the House of Grit Community Festival near the new Performing Arts & Humanities Building, exploring tents with engaging activities for all types of Retrievers. In the Uniters tent, visitors can watch as a Lego™ model of UMBC—created by Jason Burik ’00, psychology — grows over time, seeing campus architecture shift from 1966 to 2016. 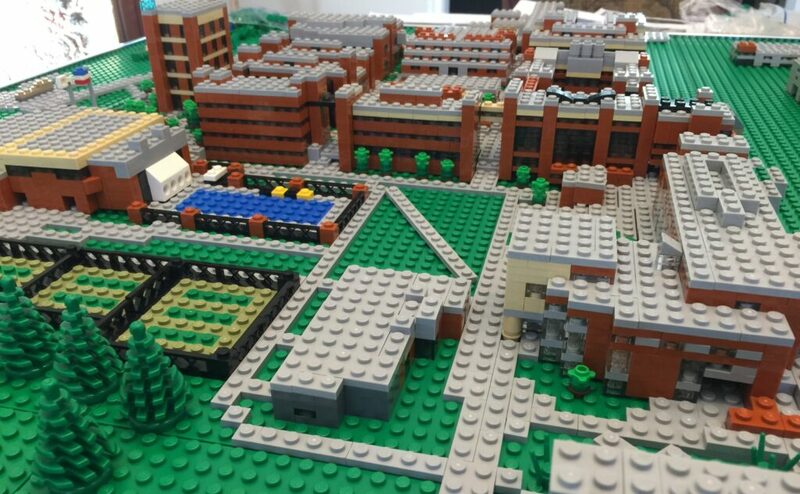 Lego model of UMBC campus by Jason Burik. Photo courtesy of the artist. In the Makers tent, visitors can pick up their own 3-D printed ring from UMBC’s PAD Lab, try games developed by UMBC Game Developers Club, and check out the UMBC Racing Team’s off-road Baja vehicle. Visitors to the Explorers tent will have a chance to control a life-size virtual whooping crane, explore the Spiro Collection of ancient artifacts, and get a glimpse of Baltimore in 1815. The Thinkers tent features hands-on science activities, a “magic planet” miniature earth with vivid projection, and haiku-writing station with the staff of Bartleby. The Solvers tent includes activities with the UMBC Percussion Ensemble and UMBC’s kinetic sculpture, Kraken Upcycle, featuring an opportunity to build musical instruments and catamarans with recycled materials. 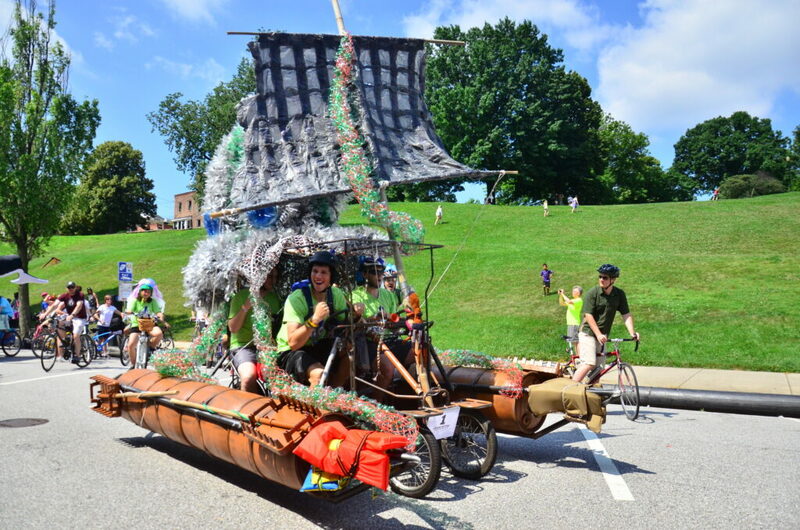 UMBC’s Kinetic Sculpture Team with the Kraken Upcycle. Photo courtesy of the team. 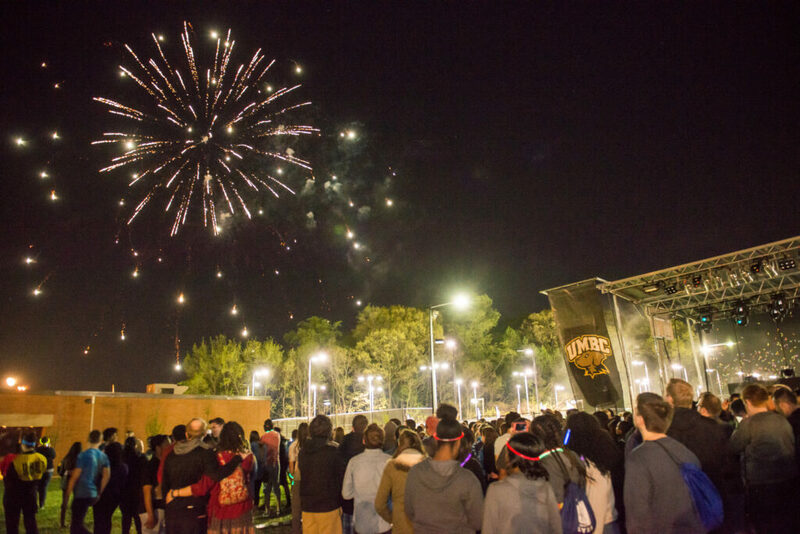 The Festival also includes a main stage with music and dance performances, and the Dawg Pound, a dedicated space for UMBC Athletics and the university’s intellectual sports teams, like Mock Trial and Ethics Bowl. 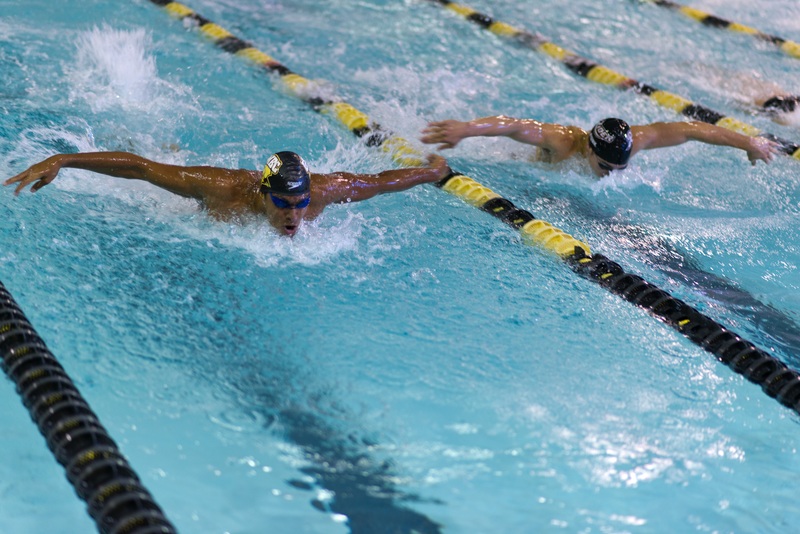 UMBC Olympian Mohamed Hussein ‘14, mechanical engineering, a current master’s student in engineering management, will sign autographs 1 – 1:30 p.m., 2 – 2:20 p.m., and 4 – 5:30 p.m.
Olympic swimmer Mohamed Hussein. Photo courtesy of UMBC Athletics. The weekend will feature two UMBC soccer games: a men’s soccer game vs. The George Washington University on Saturday at 3 p.m., and women’s soccer game vs. Delaware State University on Sunday at 1 p.m., both in Retriever Soccer Park. 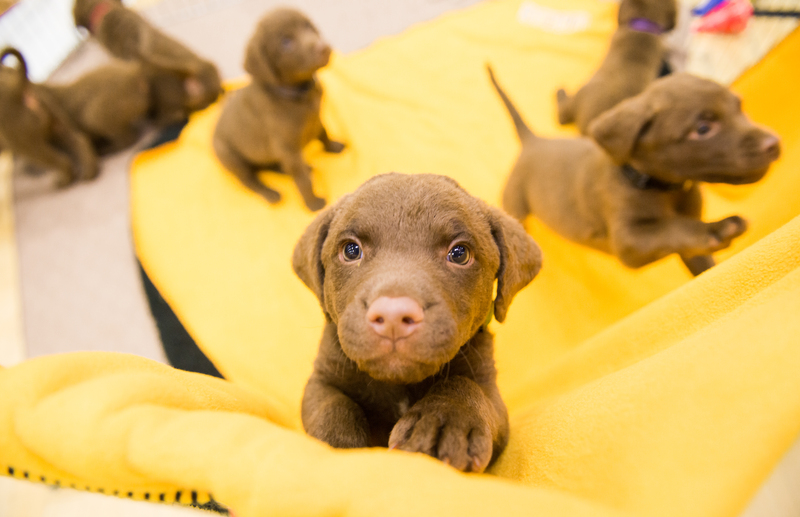 Following Saturday’s game will be a Puppy Parade, 5 p.m., outside of the Performing Arts & Humanities Building, featuring dogs of all ages and breeds. A Picnic Dinner will be served before a special edition of Baltimore’s Stoop Stories series, with seven UMBC storytellers sharing true, personal tales from UMBC’s earliest days. Retriever puppies at UMBC. Photo by Marlayna Demond ’11 for UMBC. Quadmania Fireworks. Photo by Marlayna Demond ’11 for UMBC. For the afterparty crowd, UMBC will host a Decades Dance Party (21 and over), 8:30 p.m. – midnight, in the Performing Arts & Humanities Building. Students can enjoy the Cosmic in the Commons party (under-21 event) hosted by (seb) in the UMBC Commons. Retrievers on campus Sunday can relax and revive with coffee and waffles at a community brunch, 11 a.m. – 2 p.m. in True Grit’s Dining Hall. On Monday, September 19, marking the day UMBC’s first students started classes 50 years ago, the university will celebrate Founder’s Day. All members of campus are invited to President Hrabowski’s Founders Day State of the University Address, 11:30 a.m. – 1:30 p.m. in the Retriever Activities Center, to celebrate this golden anniversary with cupcakes and reflections on the past—and next—50 years. A full calendar of 50th anniversary weekend events is available on the Celebrate UMBC50 calendar. The House of Grit page offers details on activities in the main festival area. Online registration for ticketed anniversary events has closed, but on-site registration will be available. Community members who aren’t able to join in the festivities can follow #UMBC50 on Facebook, Instagram and Twitter. Header image by Marlayna Demond ’11 for UMBC.